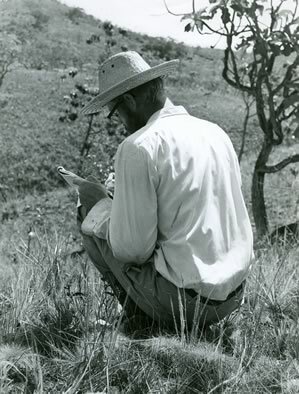 Research on the flora, vegetation and soil of the Sipaliwini Savanna was carried out during a six month expedition in 1968 – 69 and supplementary visits in 1970 and 1972. 1. Ecological Investigations on the Vegetation of the Sipaliwini Savanna Area in Southern Surinam (pdf, 5,5 MB). First published in 1973, this paper contains a general introduction to the Sipaliwini Savanna Area and provides a survey of the local soil- and vegetation types. Included you will find a list of Plant Species arranged according to habitat and physiognomy of the various vegetation units. 2. The Vegetation of the Sipaliwini Savanna in Southern Surinam (pdf, 1,2 MB). Now published (online only) for the first time, this paper deals with the diversity of vegetation types found on the Sipaliwini Savanna. A total of 26 plant communities have been deduced from the ‘raw tables’ which are based on 170 samples taken by us in the field during the dry season of 1968 – 69. Photo’s taken by Schulz, Oldenburger and Norde complete this field study. For details of landscape and soils of this area we like to refer to a PhD thesis on this subject: ‘Geomorphology and soils of Sipaliwini Savanna (South Suriname)’ by H.Th. Riezebos (1979, Utrechtse Geografische Studies 12). 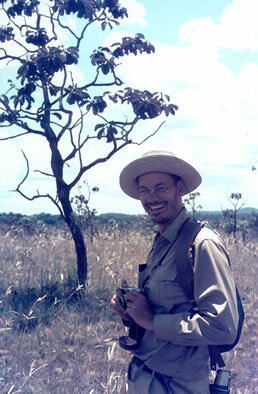 Hans Riezebos took part in the 1968-69 expedition. His research was focused on the relation between geomorphology and soil development. Descriptions of soil profiles and analytical data are included.